I was feeling something hearty and I am a big fan of potatoes. 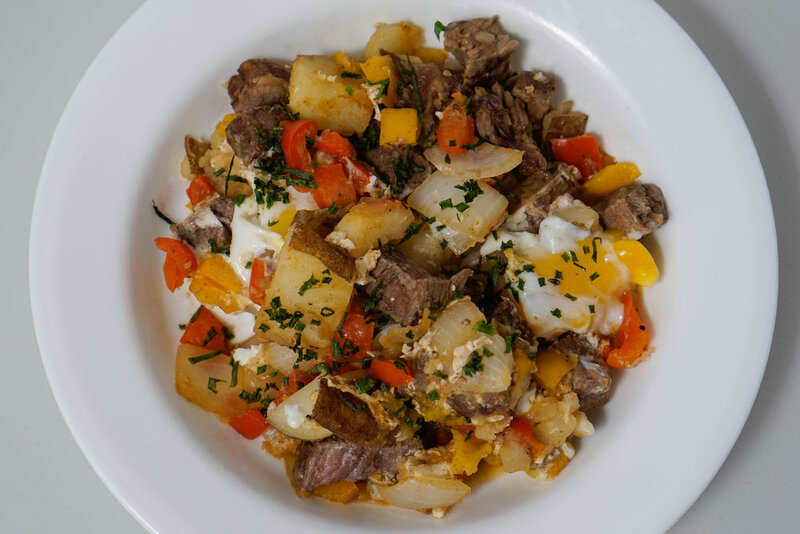 Check out this Steak & Eggs Hash recipe I adapted from http://www.delish.com/cooking/recipe-ideas/recipes/a50191/steak-eggs-hash-recipe/. This is my first recipe where every ingredient came from Milk and Eggs! Prep Time: 45 minutes. Serves 4. 1. Add the chopped potatoes to a medium saucepan and cover with water. Bring to boil and simmer the potatoes until they are tender, about 10-15 minutes. Set potatoes aside to cool. 2. In a large skillet, heat the oil over medium-high heat. 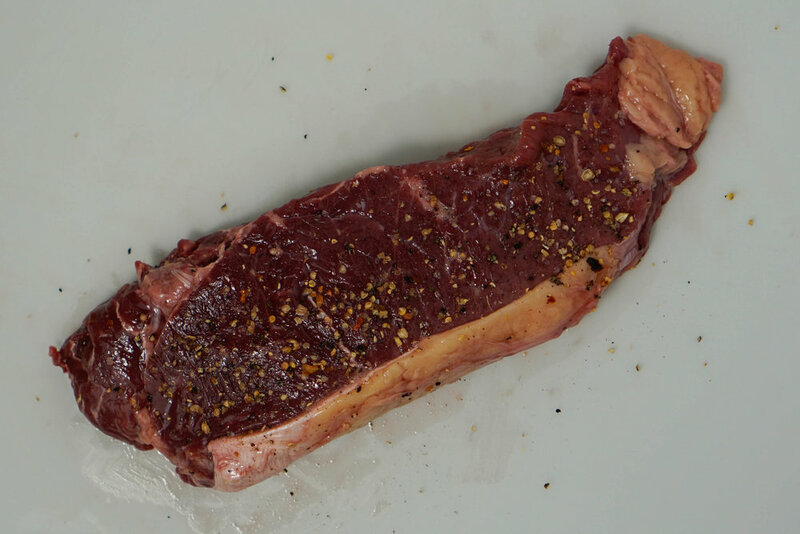 Season the steak with salt and pepper, and add to the skillet. Cook for about 4-6 minutes on each side or until you reach desired doneness. Remove steak from skillet and set aside. 3. 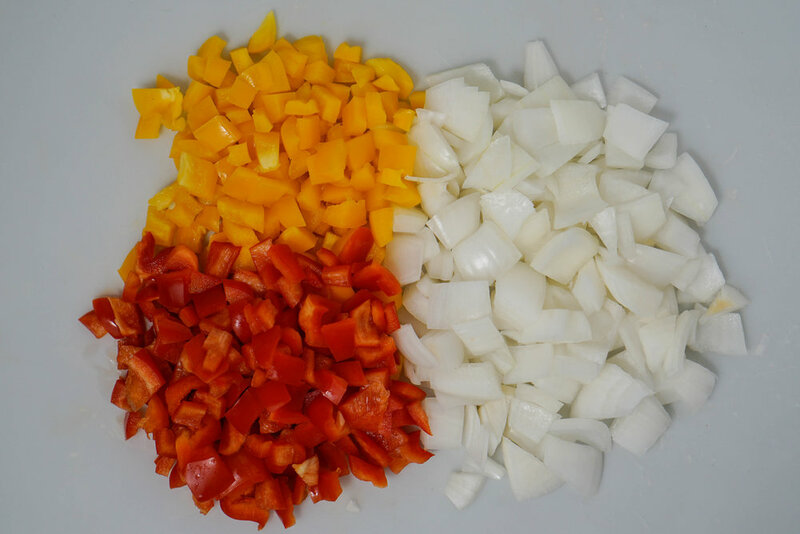 Add the chopped onion and bell peppers to the skillet and cook over medium heat until the vegetables soften, for about 5 minutes. Add potatoes and paprika, and salt and pepper to taste. 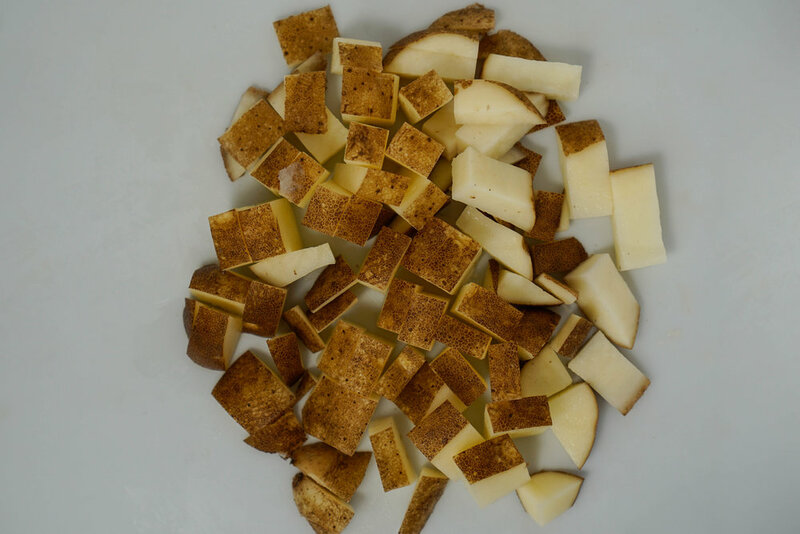 Cook until the potatoes become more tender and begin to brown and crisp up. 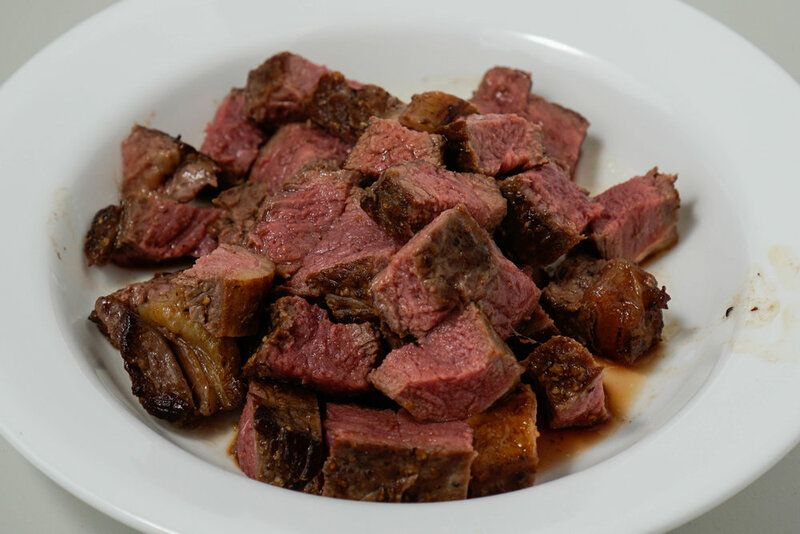 In the meantime, chop the steak into 1” cubes and add them to the potatoes. 4. Using a wooden spoon, make four holes in the potatoes to reveal bottom of skillet. Crack an egg into each hole and season each egg with salt and pepper. 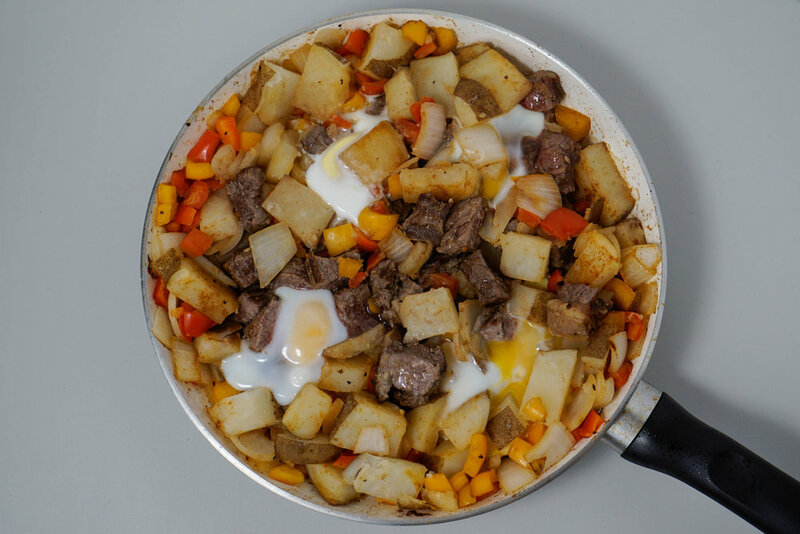 Cover the skillet with a lid and cook until eggs are cooked to your liking. Serve and enjoy!